We have set a benchmark in the industry for manufacturing and Export Air Tanks. 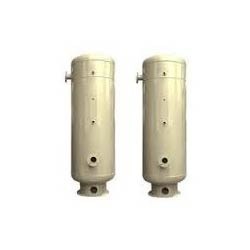 The offered air tanks are made in tune with the industry standards and the demands of the clients. These are ideal for storing compressed air for compressors during emergencies and shortages. The offered tanks are leak proof, robust in terms of construction and dimensionally accurate. Looking for Vertical Air Tanks ?